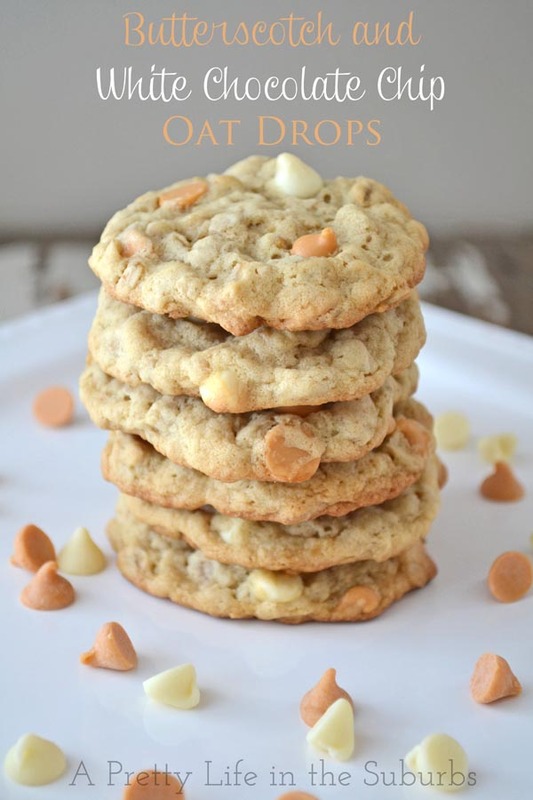 These Butterscotch & White Chocolate Chip Oat Drops are a soft, flavourful nut-free cookie perfect for lunches! It’s winter big time right now where I live! We are under a heavy snowfall warning, and could get up to 25cm of snow in total! Not to mention that tonight we could see -20 degrees C temperatures. It’s so wintery and beautiful! No really, it is! 😉 I love this weather around the holiday season (but ask me how I feel about it come March…now that’s a different story). Anyway, it’s the perfect kind of weather for making cookies! Cozy, warm, gooey cookies! These cookies are so great! They’re soft and flavourful, and they make a perfect nut-free snack for the kids lunch boxes! I also love this recipe because it makes a huge batch! Lots for eating, lots for freezing! Add the eggs, mixing in one at a time. Then add the vanilla. In a separate bowl, whisk together the flour, oats, baking soda, baking powder, and salt. Add the flour mix to the butter mix and combine. Stir in the butterscotch and white chocolate chips. Drop by the tablespoon on to a baking sheet. 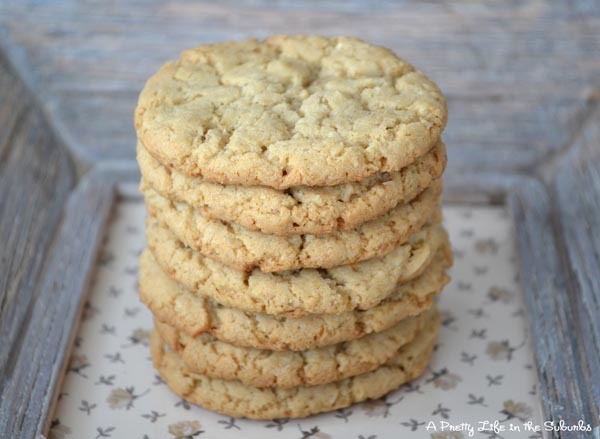 But no matter what the weather is like where you are, it’s always a perfect time for baking cookies! This recipe sounds delicious and I can’t wait to try it. But as the mother of two kids who are peanut and tree nut allergic, I find it impossible to find butterscotch chipits that are safe for my kids. Every label I have seen says they “may contain traces of peanuts or nuts”. If you know of some safe butterscotch chipits for peanut/nut allergic people, please let me know. 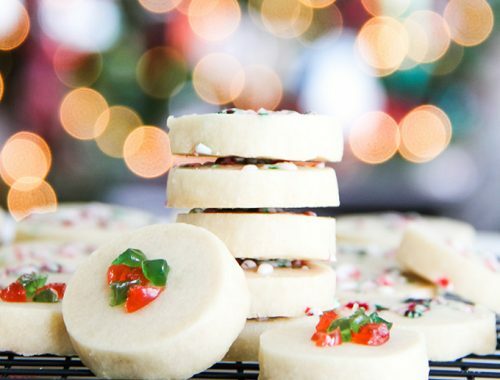 Have these cookies in the oven right now! I cannot wait to try them. 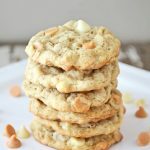 I was looking for something different than the typical oatmeal and raisin cookie and came across this recipe on pinterest! Oh these look SO delicious! I love ALL these ingredients! I’ll be pinning this recipe and plan to make it as soon as I can! Beautiful photographs and your recipe sounds delicious. 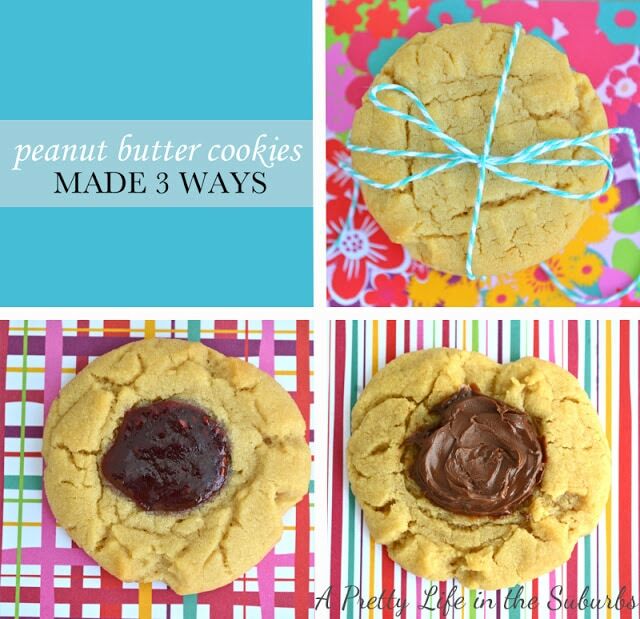 I bake fresh cookies weekly. . so I will definitely try this! I just made these tonight, and they were delicious! I will have to try more of your recipes now! I just made these and cut the sugar down to a 1/2 cup of brown sugar and a 1/2 cup of white. And…..they’re GREAT!!!! These are the BEST oatmeal cookies I’ve had. I’ve made them several times. Delicious when frozen! 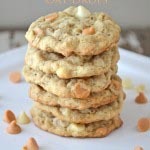 Just bought white chocolate chips and butterscotch chips and I’ve been searching for the perfect recipe to use them in. I think I found it! These looks awesome! Can’t wait to try them tonight! THANKS! I made these over the holidays, and they are simply amazing. Fairly easy to make, and they were a big hit! Thank you for the recipe. That is awesome to hear! We love these too! Happy New Year!